Skydivers all over the world, at every level, share a single, common goal: to become better skydivers. If you’re a skydiver, you’re certainly no exception to this rule. If you’re really serious about it, you know the other home truth, too: to get better, you have to go where the great skydiving–both indoor and outdoor–is waiting for you. Guess what? We’re waiting for you. The advantages of Skydive Paraclete XP far outstrip the brag sheets of nearly every other DZ worldwide. We have a long and happy history of welcoming skydivers who become world-class athletes under our wings–and there are so many reasons why. 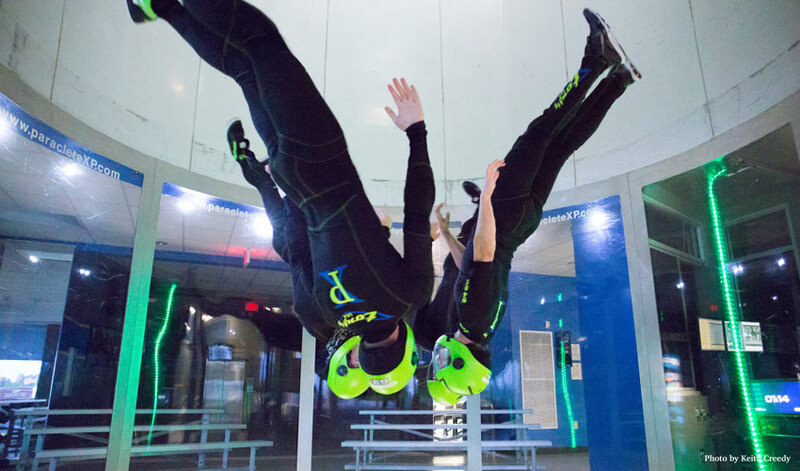 The invention of the “indoor skydiving” wind tunnel has changed the sport of skydiving forever, allowing for rocketship advancements in the sport–and we have the biggest one in the country. The Paraclete XP SkyVenture wind tunnel clocks in at a whopping 16 feet in diameter, soaring 50 feet over the ground, with a quad of 441-horsepower fans that make magic happen. Big, complicated skydives require lots of seats on lots of planes–and we’re more than prepared to facilitate. Skydive Paraclete XP has a seriously full hangar: currently, we’re rocking a PAC 750XL, a Twin Otter, a Super Grand Caravan and a Casa. We’re proud of the Paraclete family–and we should be. The skydiving and wind tunnel athletes that train here pick up gold medals, accolades and fist-bumps all over the world. Take, for example, Kirk Verner–the multi-national and world champion skydiver and founding member of legendary Arizona Airspeed who calls Paraclete home. Then there’s Selwyn Facey, our chief wind tunnel instructor, who’s widely regarded as one of the best flyers in the States–or Keith Creedy, who gets similarly platinum laurels. Worth noting: the pantheon of Paraclete superstars is by no means a boy’s club. We’re home to Angela Tara Hsu, a brilliant artist/athlete/yogini who’s currently training for the world championships to be hosted in Chicago later this year. To look at the extensive facilities, formidable fleet and vibrant community, you’d never know that Raeford’s pumping skydiving scene emerged from humble origins nearly half a century ago. When skydiving legend Gene Paul Thacker founded the drop zone way back in 1968, he was hitching his wagon to quite a star. This was back in skydiving’s “wild west” era, mind you–long before the invention of tandem skydiving (not to mention round parachutes and modern safety devices). Back then, there were no facilities aside from a dirt-strip runway and a single little Cessna 182 aircraft…and look at us now. If you’re thinking of skydiving Raleigh, we hope you will consider making your jump with the best of the best at Skydive Paraclete XP. 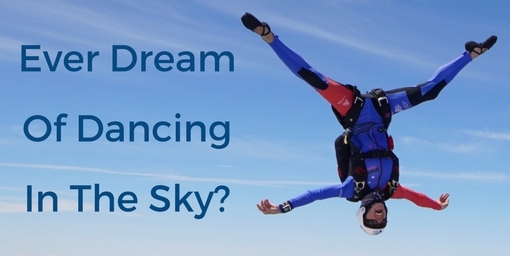 For those wishing to learn to skydive solo, we offer one of the most progressive and comprehensive skydiving schools in the United States. 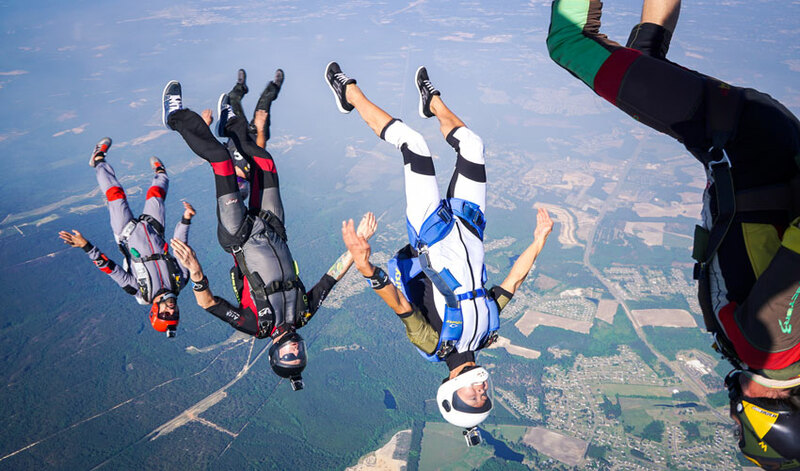 If you’re ready to experience skydiving for the first time, learn more about making your first-time tandem jump with us!